Special edition of OISHII for KANPAI! Featured on Sake & Sake Culture. Are you an enthusiast of Sake? This magazine will give you an insight into the intriguing sake culture of Japan. 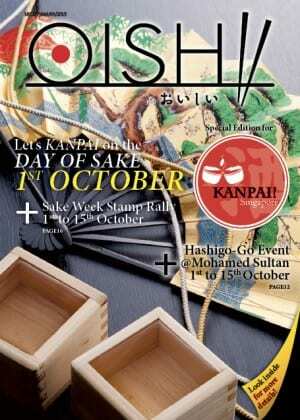 It is published annually in conjunction with the Sake KANPAI events held in Singapore.